Nearby parks include Brandon Memorial Park, Brenningham Park and Jamestown Park. 2609 Charleston Drive has a Walk Score of 14 out of 100. This location is a Car-Dependent neighborhood so almost all errands require a car. Welcome to The Life at Avery Park where we are leasing new beginnings! 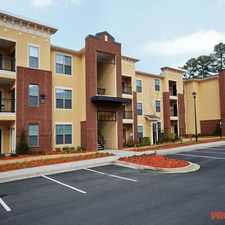 Our community provides the perfect blend of quality and comfort! We offer a variety of spacious 2 and 3 bedroom floor plans with designer inspired amenity packages. With both newly renovated and refreshed apartment homes available, we have the perfect fit for anyone looking to Live Life Right in style! Explore how far you can travel by car, bus, bike and foot from 2609 Charleston Drive.